1072 William the Conqueror confiscated the manor of Bridlington. 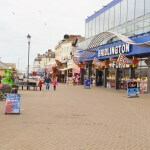 1086 The previous names of Bridlington are known to be Brellington, Britlington and Bretlington mentioned in Doomsday book. The name Burlington was used up until the 19th Century. 1113 Walter de Gaunt founded monastery and church of St. Mary’s. 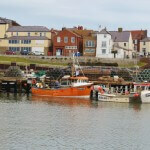 1113 Gilbert de Gant granted the Manor of Bridlington and with it the Harbour to the Prior of Bridlington. 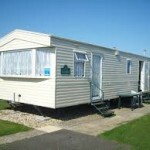 De Gant (also see Hunmanby) was given Bridlington manor after the battle of Hastings. 1388 The Bayle is built as the gatehouse to Bridlington Priory and still remains intact. 1450 Choir school founded by Henry VI. 1538 The king claimed possession of the monastery and dissolved it in 1538 along with Bridlington Priory and its buildings. 1637 Bridlington grammar school founded by W. F. Hustler. 1664 First Earl of Burlington created by Charles II. 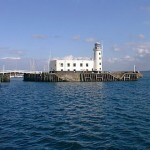 1666 Bridlington was raided by Dutch boats. 1667 A fort was built next to the sea where Leisure world now stands. 1697 The second Baptist church in Yorkshire was built. 1714 The Avenue was built for the Pickett family. 1752 The birth of Samuel Standidge the famous whaler. 1760 The Avenue was bought by Thomas Pickett. 1767 Bridlington receives its first fire engine. 1802 Bridlington’s first bank was built it was called Burlington Bank. 1805 The town’s first hotel was built it was called George Hotel. 1806 Bridlington’s first lifeboat was established. 1811 Town population reaches 3741 with 869 houses accounted for. 1822 The birth of Humphrey Sandwith who was the organizer of Crimean War. 1823 Bridlington has its first policeman. 1836 The Towns first newspaper was published it was called the Burlington Reporter. 1837 A steam mill was erected at Bridlington’s Quay where production of Malt and beer was done. 1846 A railway built from Hull, Beverley and Driffield to Bridlington opened in October. 1847 The railway carried on to Flamborough Headland, Bempton, Speeton, Hunmanby, Filey and Scarborough. 1867 First sea stone wall built. 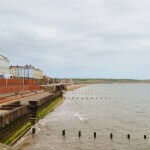 1871 A great storm in Bridlington claims the lives of 70 seamen. 1889 Bridlington Priory Organ is built. It is one of the largest in the world. 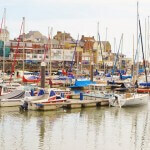 1891 Bridlington’s population reaches 6840. 1896 Donkey rides introduced on Bridlington beach. Opening of new Bridlington Spa and Gardens. 1899 First Mayor of Bridlington Mr. R. Medforth. 1901 Bridlington’s population stands at 12482. 1906 Spa Hall destroyed by fire. 1928 Opening of Princess Mary Promenade. 1931 New North sea wall completed. 1932 The Avenue becomes a hospital. 1970 The Avenue becomes derelict. 1974 Bridlington enters into the Borough of North Wolds. 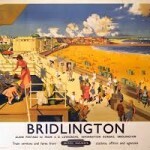 1979 Bridlington’s population reaches 28590. 1993 The Avenue is transformed into apartments. 1995 The new Spa Promenade opened. 1996 High Street refurbished and Bridlington’s Harbour footbridge demolished.